Though it happened 50-something summers ago, I remember well standing in the gift shop at a Stuckey’s somewhere between north Georgia and the Florida coast. My family had stopped to gas up the station wagon and to use the restrooms. Daddy agreed to let my brother and me each buy one small souvenir. I was having a hard time deciding between an Archie & Veronica comic book and a pecan log roll. But Rusty made up his mind as soon as he saw the wire bin filled with Civil War soldier caps. It took some digging, but he finally managed to find a Johnny Reb cap underneath dozens of Billy Yank ones. “Why are there so many more blue caps?” I asked my mother. I think back on that scene, and so many others, every time the subject of the Rebel flag comes up, as it has so often in recent days in the wake of the tragedy at Charleston’s Emanuel A.M.E. Church. Growing up in Nashville, I rode my bike on Robert E. Lee Drive and Stonewall Jackson Court without ever giving a second thought to the names of those streets. The summer after eighth grade, I read “Gone with the Wind” and halfway talked myself into believing that most plantation owners were as kind to their “servants” as were the O’Hara family. In college, I dated a young man who was a member of Georgia Tech’s Kappa Alpha fraternity not because I liked him, but because I wanted to be invited to KA’s Old South ball. He wore a Confederate officer’s uniform, I wore a dress with a gigantic hoop skirt and we both had a grand old time. And never once did I consider how any of that might be viewed by my African-American friends. Because I lived in a South that, though legally desegregated, wasn’t really desegregated at all. I didn’t have any African-American friends. And though I don’t own anything with the Confederate battle flag on it, I never gave much thought to the Rebel flag belt buckles, bandanas, beach towels, key rings and coffee mugs that litter the shelves of most convenience marts south of the Mason-Dixon Line, except that they were a silly waste of money. Until Dylann Roof walked into a Bible study on June 17 and shot nine people to death. To say the Confederate flag made him do it is, of course, ridiculously simplistic. We’ll likely never know what combination of factors turned this troubled young man into a murderer. But we do know he grew up in a place where, 150 years after the Civil War ended, affection—oftentimes bordering on reverence–for the Confederacy is still very much in evidence. That’s not just true of South Carolina. We see it lots of places. Including right here in Tennessee, which in June 1861 became the eleventh and final state to leave the Union. It’s time for those of us who’ve remained silent over the Rebel flag controversy to break that silence. It’s time to admit that our ancestors who fought, however valiantly and sincerely, for the Confederate “cause” were fighting to defend two indefensible principles—secession and slavery. 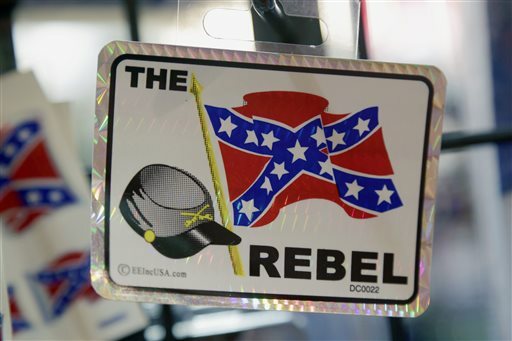 It’s time to acknowledge that if our African-American brothers and sisters see the Rebel flag as a symbol of hatred and oppression, it needs to go. Thank you for taking a stand and having the courage to publish your article about retiring the rebel flag.